A tycoon game “about building a corporate business around legal marijuana” appears to have been blacklisted on social media. 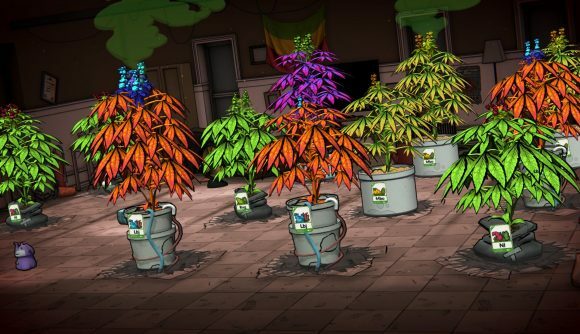 Weedcraft Inc, which launched yesterday, has been banned from featuring in adverts on Facebook, and YouTube videos about the game are reportedly being demonetised. Conversely, however, it also says that “videos discussing drugs or dangerous substances for educational, documentary, and artistic purposes are generally suitable for advertising, so long as drug use or substance abuse is not graphic or glorified.” Weedcraft might be treading a slightly fine line in respect to the latter half of that statement, but I’d say there’s a definite argument around the artistic portrayal, particularly if an influencer is posting commentary rather than raw footage. So Weedcraft, a game about building a corporate business around legal marijuana, features no illegal drug use or violence, but has just been banned from Facebook & YT vids are being demonetized. Facebook’s policies are a little more stringent, stating that “ads must not promote the sale or use of illegal, prescription or recreational drugs.” While Weedcraft Inc might not directly feature drug use, I’d say it’s certainly implied, making Facebook’s argument a little more clear cut. All of this ignores the real tragedy, however, and that’s Weedcraft Inc’s release date. The game came out on April 11, and while I’m sure there were circumstances that made that the only viable option, I’ll never forgive Devolver for not releasing the game on April 20 instead.